Helping teens avoid debt through making better decisions with their money. 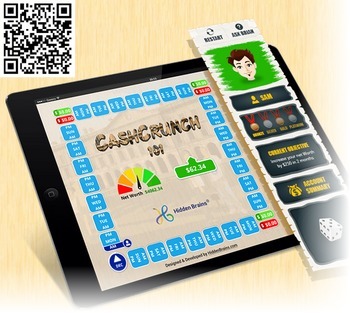 Focuses on the player improving their money management and decisions making skills. The emphasis is on saving money while having to adjust to real life situations. All decisions are reflected in real time through out the game. through This game is also available through the www.cashcrunchgames.com website and can be played through your internet browser. All links are on the website.